Dennis lives in Siem Reap, Cambodia now. His phone number there is 093783267. Please call or text to make an appointment! Dennis is unlike any other palm reader you’ve ever met. He seems like an ordinary, friendly guy in a baseball cap. But Dennis has a unique ability to examine aspects of your hands and tell you meaningful things you may not know about your life. Dennis doesn’t just read the palm, he reads every part of both of your hands. Over the last fifteen years hundreds of people from all over the world have been amazed, inspired and aided on their life journey by what he sees, and what he has to say. If you’re in Siem Reap, Cambodia and would like to have your hand read please call 093783267 or email contact@palmism.com. Note: after many years of reading hands for free, Dennis now asks for a $25 fee to support his coffee habit and hat collection. You can also learn to palm read with Dennis. Check out what others have to say about their hand-reading experience with Dennis. NEW! 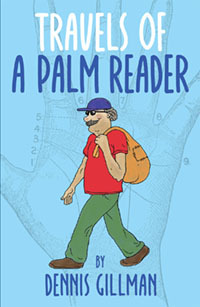 Dennis’ Book “Travels of a Palm Reader” is now available! Dennis was recently featured on an episode of “Destination Thailand”! Full episode here. 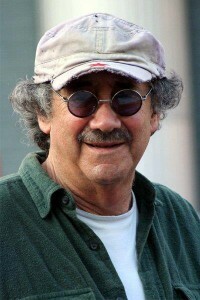 Note: after many years of reading hands for free, Dennis now asks for a $25 fee to support his coffee habit and hat collection. Note, if calling from outside Cambodia, the number is +85593783267.